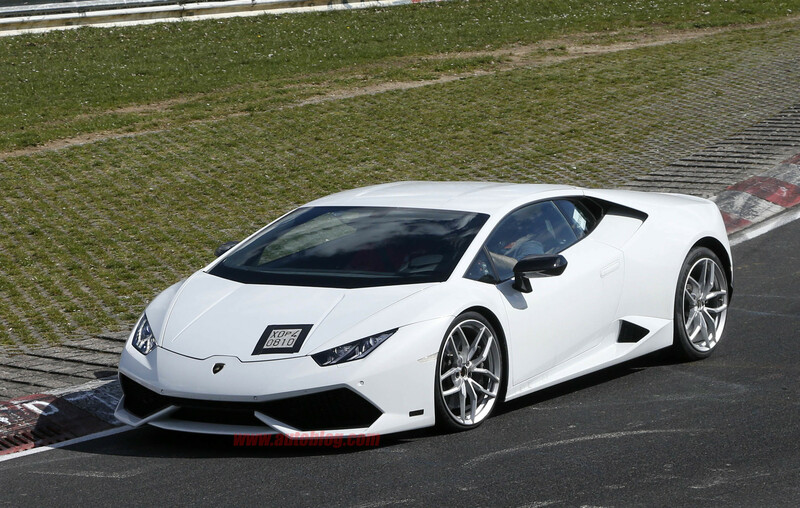 The Superleggera-edition Lamborghini Huracan has been seen undergoing testing at the Nurburgring. The Italian supercar manufacturer often produce more powerful, lighter versions of their cars and it seems the Huracan is no different. The visual changes for this test version are only minor with the biggest being a new rear bumper for housing its four exhaust pipes, however it is expected that the production model will sport new alloys and a fixed rear wing. It is expected to lose about 100 kg off its kerb weight and receive a slight power boost as well, and with the current car weighing 1422 kg and achieving 0-62 mph in 3.2 seconds from it's 602 bhp engine, you can imagine they'll be into the low 1300's and potentially a sub 3-second sprint time. Reports suggest its official unveiling will emerge at the Paris Motor Show later this year, so we'll bring you more then. Audi's next-generation performance-spec A4 has been seen out and about performing some road testing. The car was pictured in the usual discrete camouflage making it difficult to identity the exact changes, but it looks as though it shares a lot of similarities with the upcoming S4, with the obvious additions like larger air intakes, a beefier body kit, lower ride height and the twin oval exhaust pipes. It is expected that a new 3.0-litre turbo V6 will power the new car replacing the old 4.2-litre V8, with a power boost to at least 480 bhp plus a substantial increase in both torque and efficiency. There is also reports that the turbo is likely to be electric, which allows for a more efficient but albeit expensive setup. The car isn't likely to be released until next year, so as always we'll have to remain patient and await the official unveiling. Hennessy Performance have announced that their Venom GT Spyder is the world's fastest convertible car after breaking the world record. The existing record was 254 mph, set by the Bugatti Veyron Grand Sport Vitesse on a 2.9-mile runway in Lemoore, California. However that record is now a thing of the past, with the new record set at a whopping 265.6 mph. The Venom GT Spyder is powered by a 7.0-litre twin-turbo V8 that produces 1,451 bhp. It manages 0-62 mph in just 2.4 seconds but more impressively achieves 0-100 mph in 4.4. Wow! Only three examples will be made and they'll set you back around £1 million each, so if you've got the money and fancy one you'd better be quick - we imagine they'll sell faster than the speeds they hit! Aston Martin have officially revealed the fastest V8 Vantage ever built - the Vantage GT8. 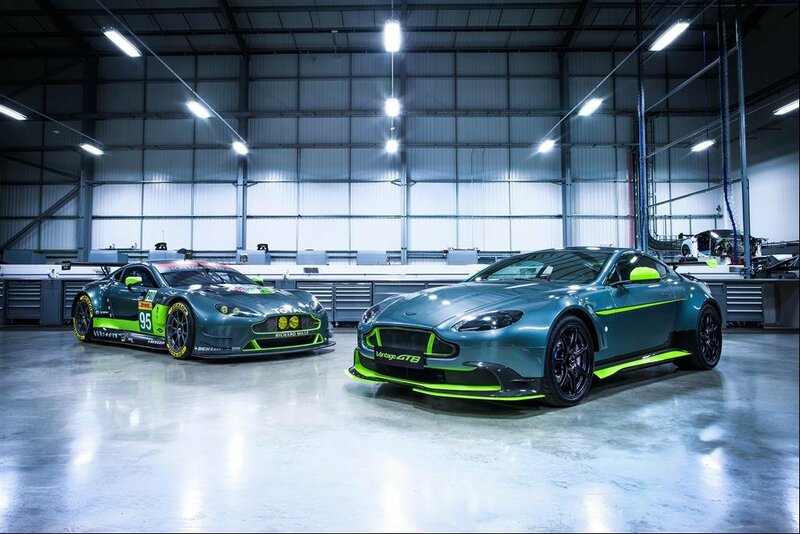 The fully track-focused Vantage GT8 is the lightest and most powerful V8 Vantage that Aston have ever made, taking most of its inspiration from the V8 Vantage GTE racer. The car uses carbon fibre wherever possible from inside to out, giving it a kerb weight of just 1,510 kg. Under the hood the 4.7-litre V8 has been tuned to push it from 420 bhp to 440 bhp, meaning a 0-62 mph time of only 4.4 seconds. On top of that the car can come with either a six-speed manual or seven-speed Sportshift II automatic gearbox. It also has a load of visual changes including new five-spoke or seven-spoke wheels, an optional Aero Pack, and a load of optional extras too. Only 150 will be made costing an expensive £165,000 each, but with almost all of the allocation sold out you'd better move quickly if you'd like one yourself! Audi's latest iteration of their Q5 SUV was recently spotted at at the Nurburgring undergoing testing and we now an image showing how the car is likely to look. The images come courtesy of the folks at AutoExpress, where some computer magic has resulted in giving us all an exclusive look at how the new Q5 will look. As you can see it maintains the chunky look as the previous generation but receives some significant changes to look a whole lot classier. A new grille, sharper headlights, beefier air intakes and new alloys give the car a far sportier look than the previous one, which we definitely give a thumbs up to. It's expected that the car will shed around 100 kg of weight over the last generation and come with the same engine lineup as the current. It'll likely be officially revealed later in the year, and as always we'll bring you it as soon as it does!